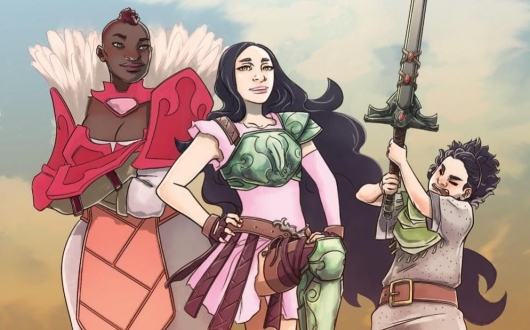 Ladycastle #1 is candid look into what would happen if all the knights and soldiers went off to war and (mostly) got themselves killed. Bordering on satirical, this story focuses on a group of ladies that refuse to accept the roles that their society tries to place on them. From a picky princess who isn’t going to marry a prince just because the king insists, to a blacksmith’s wife who is apparently just as good of a ‘smith as her husband.